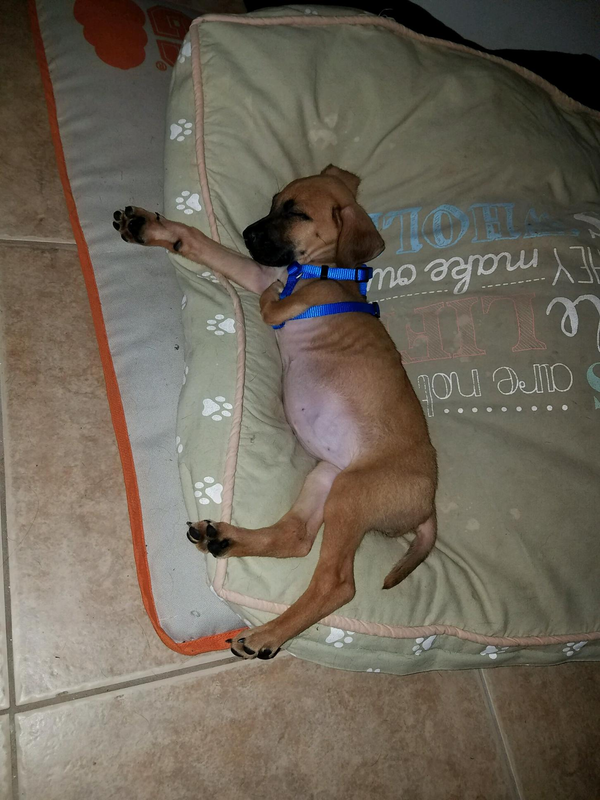 Hopscotch is a 9 week old puppy found in the garbage and taken in by Destiny for Dogs. Hopscotch has a heart condition and she will sadly “outgrow” her heart within 9 months. Hopscotch has gained 1 pound since being rescued. The vet and staff are taking very good care of Hopscotch and Hopscotch will remain in her foster home and we will all ensure that whatever life she has on this earth will be happy and full of love. Many thanks to a very special someone for donating the funds for Hopscotch’s tests and offering to assist with her monthly meds. We are still in need of assistance with Hopscotch’s vet visits. Destiny will be sending special food monthly via chewy.com. Please keep this darling girl in your loving thoughts and prayers. Please don’t worry about Hopscotch as her Hospice parents will not let a day go by without her feeling love, tenderness and happiness. Thank you to everyone who has been a part of Hopscotch’s life.